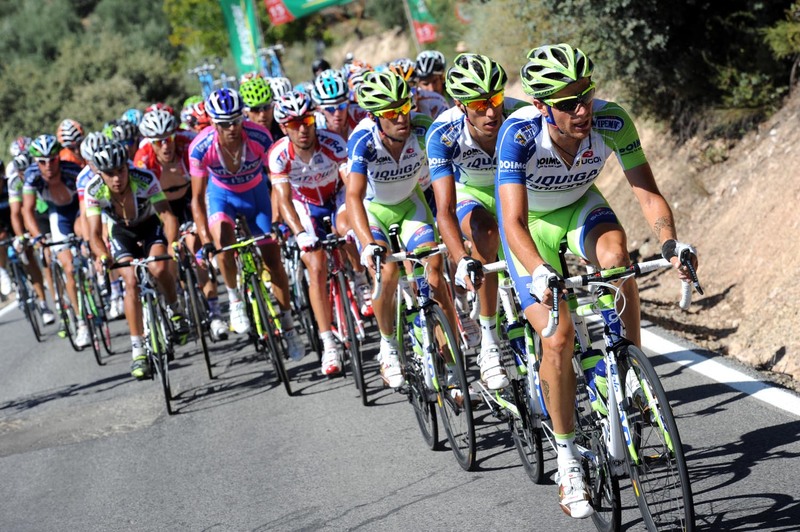 Spaniard Joaquin Rodriguez took a characteristic win at the top of the short steep climb in Valdepeñas de Jaén. The Katusha rider sprinted clear in the last 500m after a perfect bit of team work from yesterday’s winner Daniel Moreno. When it comes to sprinting up such climbs Rodriguez is one of the few who can challenge either Philippe Gilbert or Cadel Evans. With neither of them present, the former world number one went unchallenged up the final stretch of road. Behind him some gaps appeared between the favourites, although they were small enough not to merit any great panic. Euskaltel-Euskadi’s leader Igor Anton was the first to go pop, no surprise after yesterday’s dismal performance on teh road to Sierra nevada, and lost almost a minute. The other GC riders lost just a few handfuls of seconds. Vincenzo Nibali was 11 seconds behind Rodriguez, Wiggins 20 and Dan Martin 39. Those gaps would have been as much about position than form as that final climb was also narrow. The leaders almost rode in to the back of David Moncoutie when they caught him at the bottom of the climb, such was their difference in speed. And if anyone got caught behind slower moving riders at any other point, that loss of momentum would have cost them dear. The win moved Rodriguez up to third overall, now just 23 seconds behind leader Sylvain Chavanel. 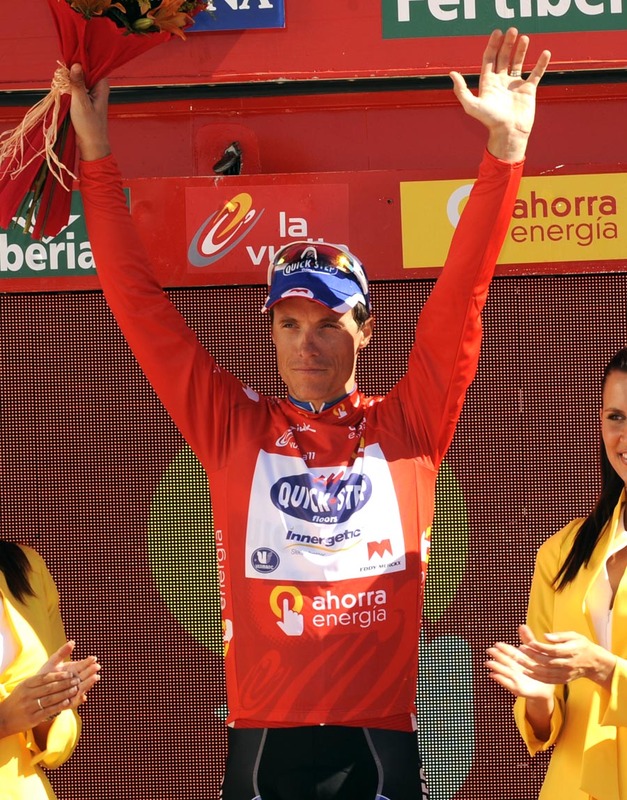 Moreno held on to third place on the stage and stayed in second overall. After just five stages the GC is already starting to take shape as two tough stages in the Sierra Nevada has filtered out many of the spontaneous riders who take their chances in the first week of Grand Tours. Tomorrow’s stage to Cordoba features a second category climb 20km from the line. The descent to the line may nullify any attacks, but it should at least set up another interesting finish.